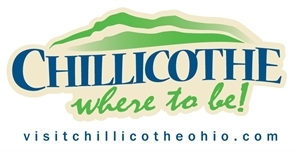 Located in the foothills of the Ohio Appalachian Country, Chillicothe is less than 50 miles south of Columbus. Ross County is home to many historical locations including "Tecumseh" Outdoor Drama, Adena Mansion & Gardens, and nominee for World Heritage Inscription, Hopewell Culture National Historical Park. 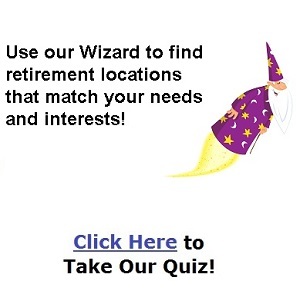 Includes Cities/Towns: Bainbridge, Chillicothe, Clarksburg, Frankfort, Greenfield, Londonderry. For outdoor enthusiasts, Ross County not only has a National Park, but 5 State Parks within the county. Ross County is a great destination for exploring the foothills, fishing, hunting, canoeing and just enjoying the great outdoors. Chillicothe has many of your favorite restaurants, but we encourage visitors to sample local flavors at our locally owned establishments. Stroll through historical downtown Chillicothe and discover some the locally owned shops and enjoy the beautiful architecture. Jan 20.8 F° 29.0 F° 37.2 F° 2.8 "
Feb 23.2 F° 32.6 F° 42.0 F° 2.7 "
Mar 31.0 F° 41.5 F° 52.0 F° 3.5 "
Apr 41.0 F° 52.7 F° 64.3 F° 3.7 "
May 50.8 F° 61.9 F° 73.0 F° 4.9 "
Jun 60.2 F° 71.0 F° 81.8 F° 3.6 "
Jul 63.8 F° 74.1 F° 84.3 F° 4.0 "
Aug 62.0 F° 73.0 F° 84.0 F° 3.4 "
Sep 54.3 F° 65.9 F° 77.5 F° 2.9 "
Oct 42.8 F° 54.6 F° 66.3 F° 2.9 "
Nov 34.0 F° 44.1 F° 54.2 F° 3.2 "
Dec 25.0 F° 33.1 F° 41.2 F° 3.0 "
Spring temperatures are cool with averages in the low 50's and highs in the low 60's. Nights are cold with lows in the low 40's. Summer temperatures are mild with averages in the low 70's and highs in the low 80's. Nights are cool with lows in the low 60's. Fall temperatures are cool with averages in the mid 50's and highs in the mid 60's. Nights are cold with lows in the low 40's. Winter temperatures are cold with averages in the low 30's and highs in the low 40's. Nights are cold with lows in the low 20's. Major employers in Ross County include Adena Health System, Kenworth, and Glatfelter. Volunteer opportunities are abundant in Chillicothe with lots of Non-Profit entities.